For a moment, we will cast aside the important topics as to how terrorists are financed or the doctrine and ideology orienting gullible individuals towards terrorism and study further the root causes that form the primary grounds for promotion of terrorism. Crises such as social destitution, ignorance, mass unemployment and a prevailing state of ignorance flash through the mind. These are prerequisites for a nation under the evil sights of scaremongers. Once steeped well into these crises, a nation run out of logic can become receptive and open to almost anything, no matter how absurd it is. A severely bankrupt community living off a penny would not spare embracing a violent job, be it terrorism or crimes. World poverty is not by accident or natural, it is rather by design to push vulnerable community members into the extremist rows or for some other economic reasons. Terrorism’s agenda include denial of minors and adults an education. It also entails dissuasion of investments and economic development by serial assassinations and abductions. Because terrorism is a complicated phenomenon and not an organization to be led by morons, it is governed by oversee hierarchy of intellectuals. 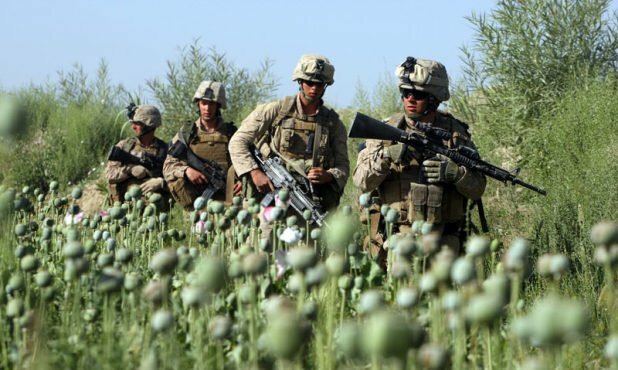 Afghanistan’s drug is a weighty factor adding fuel to terrorism. 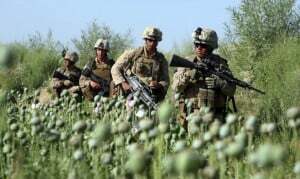 As a third most lucrative illicit substance following arms sale and oil in the world, the international drug lords influencing Afghanistan’s narcotics industry may never give it up under any circumstance. In the context of almost no or modest government employment opportunities in lawless areas, an internally-supported batch of multinational terrorists arrive in broad daylight and bully villagers to grow poppy or team up with them as paid job. In many instances, ideology or a Jihadist belief is not driving them into armed ranks, but it is rather out of the endemic poverty and grassroots level life they live. Moreover, a tight border patrol is an impactful precautionary measure to cease terrorists’ inflow. Afghanistan’s long unchecked border with Pakistan – where brainwashed fighters are trained to breed and spread terrorism – has been serving as an unrestrained doorstep for terrorists to Afghanistan. If the so-called “counterterrorist parties” honestly want to put an end to this drama, they should set off the crusade from the border. 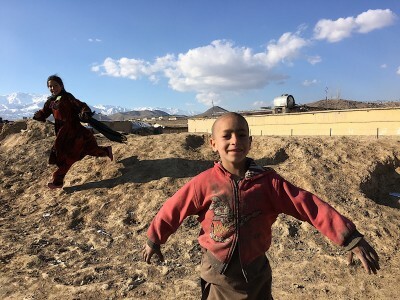 Afghanistan’s population is not surprisingly high to make it inconceivable to fight rampant destitution and poor livelihood. They are the primary vacuums exposing the non-violent population to extremist and ultra-orthodox beliefs leading to terrorism. Only a fraction of Afghanistan’s natural resources could lift the nation out of rubble, if it is handled in bona-fide and scrupulously. To invest on future rebellious generations, the terrorists nowadays set fire to hardly-earned private businesses and markets in a bid to force a businessman to quit and lay off personnel and lure those unemployed as a consequence. 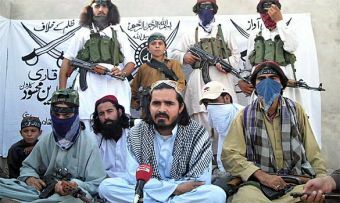 The Afghan governments seemed not intended to fill the gap immediately to avoid terrorists’ reinforcement, but it does run a ridiculous scheme to welcome those surrendering Taliban members, regardless of how many they have killed. Now a Taliban fighter’s life is placed ahead of a soldier’s life. Very often, Afghan soldiers stranded in a siege by rebels have been left to die by crooked commanders or higher authorities. Terrorism can’t be fought when the rebels are vaguely provided with super arms and military hardware. They are often spotted with Humvees and Ford Rangers lined tidily as though they are donated externally. Terrorism also can’t be countered when, as evidences reveal, mysterious helicopters drop cases of arms to militants, yet only the Afghan government and international forces here can fly over Afghanistan’s airspace. This is not an anti-terrorism mission when a US unmanned aircraft or fighter jet repeatedly mistakes Afghan Security Forces for militants. This is also not a war on terror when Islamic schools and seminaries operating in their thousands in Afghanistan are blatantly raising minors and teens as terrorists, which is none of the Afghan government’s business now. This week, militants raided a village in central Afghanistan and shot dead around 40 villagers including children and women. They have not been hit back and still roam at large. These evidences leave nothing to doubt about the double-game of all internal and external parties involved in anti-terrorism war. These relentless humans known as terrorists have no room in a hostile environment and can’t co-exist with a peace-seeking community, unless they are not pawns of very upper-hands. The global and domestic media may have succeeded in painting the picture of Taliban as a solid and unbeatable force, indeed, it is not so and all is meant to play up the menace of terrorism. The terrorist factions use concepts such as massacre of innocents in international coalition’s airstrikes on villages in absorbing new recruits which causes a stir and awakens a sense of antagonism against international forces. The foreign forces’ intrusion into public houses and dishonor to women are among haunting stories that turn villagers hostile to outsiders. The ignorance and lack of understanding about what is good and what is evil, is destining children to an uncertain future. As a widespread example, parents send their children to sometimes distanced seminaries and religious schools for Islamic teachings, unconscious of their fate. Almost all of these students are intended for war fronts. Many parents have come to their senses too late: their children were nurtured all the way to becoming waged fighters of little worth. This contributory part of terrorism could simply be tamed by governments by freezing these religious schools and launching awareness campaign among vulnerable communities, unless there is willfulness. On the finance and arms side, we have a handful of reports that militants enjoy compulsory benefits from locals in the form of cash or food. They get arms and weapons as a divine gift, dropped aerially, particularly to militants operating in northern Afghanistan provinces, because they are not in close contact with their heartland, Pakistan, where they get well armed. Afghanistan’s story bears it out that terrorism is not a fight for an objective against a certain group, but shooting people to death for no reason only to send shockwaves of terror and horror across the country. With impunity and and hamstrung judiciary branch in place, Afghanistan remains to be the most favorable jurisdiction for smooth insurgency with no grave consequences for evil-doers. Then, we should stop expecting the national and foreign governments to win the war under such circumstances. Terrorism is a nexus of poverty, illiteracy, unemployment, religious misguidance and, at last, offer of wage and arms to volunteers. If the same cash and weapons are withheld to terrorists and poverty and ignorance is diminished under effective plans and borders are strictly watched, Afghanistan’s most crucial crisis will be resolved. These measures will not take place so far as the interests of warmongers are concerned.